An accountant who caused two crashes within three weeks while drink driving has been jailed for three years at Lincoln Crown Court and banned from driving for six and a half years. Faith Espin, a mother of two, drove straight at a passenger bus at Broadholme, near Lincoln, causing the driver to swerve out of the way to avoid a head-on collision. Her Audi A5 struck the bus which ended up in a ditch. At the time she was more than three times over the drink driving limit. 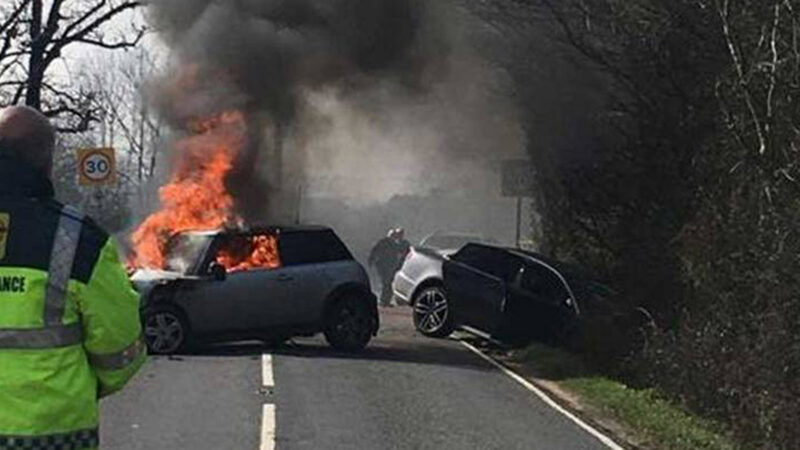 Then, 20 days later, Espin, this time driving her husband’s Audi, drove straight into a Mini on the B1190 just outside the village of Doddington. The other driver, Joyce Blythe, had no chance of avoiding a collision, and was seriously injured as a result of the impact. Ms Blythe, 67, managed to escape from her vehicle moments before it burst into flames. Judge John Pini QC, passing sentence, described Espin as an alcoholic who was drinking to excess. He told her: “It is quite beyond belief that only three weeks after the first offence you were again behind the wheel driving dangerously when you were drunk and you caused a head-on collision with another car. Espin, 34, of Maltkiln Road, Fenton, admitted dangerous driving and driving with excess alcohol as a result of the incident at Broadholme on March 3 this year. 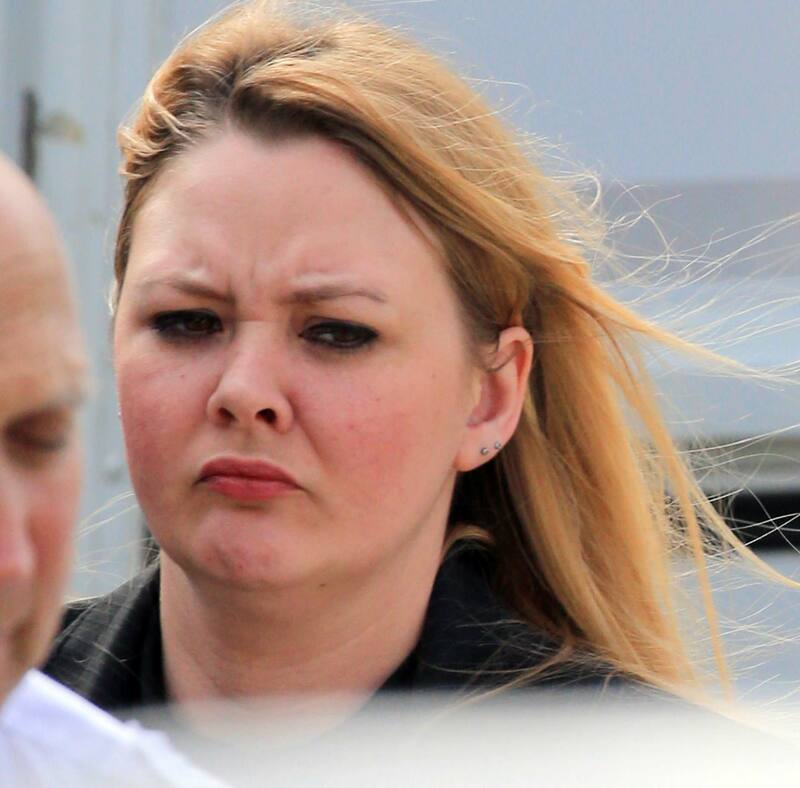 She also admitted charges of causing serious injury by dangerous driving and failing to provide a specimen as a result of the incident on March 23. She admitted causing the crash near Doddington. Andrew Scott, prosecuting, told Lincoln Crown Court that the bus driver suffered a back injury as a result of the first incident. There were no passengers on his single-decker vehicle. Espin was taken to hospital and gave a blood sample which revealed 263 mgs of alcohol per 100 mls of blood, putting her more than three times over the legal limit of 80 mgs of alcohol. She later admitted she had drunk a third of a bottle of vodka before driving. Mr Scott said the second crash occurred as Joyce Blkythe was driving home from a visit to the gym. He told the court: “As she was negotiating a bend in the road she was horrified to see another vehicle on her side of the road travelling straight towards her. “She thought she was going to die. Ms Blythe managed to extricate herself from the Mini and hobble away. A short time after that her car burst into flames. Mr Scott said that after Espin was arrested a bottle of vodka was found adjacent to where the Audi ended up. Mr Scott said: “The defendant shouted and screamed at the officer. Joyce Blythe suffered serious injuries including a dislocated and fractured left foot, broken ribs and severe bruising from the impact of her seat belt. She underwent an operation on her foot and is still in plaster. Before the incident she regularly went to the gym and to dance classes. David Eager, in mitigation, said Espin had been seeking help for her drink problem. He said she was remorseful and a prison sentence would have a devastating effect on herself and her children.